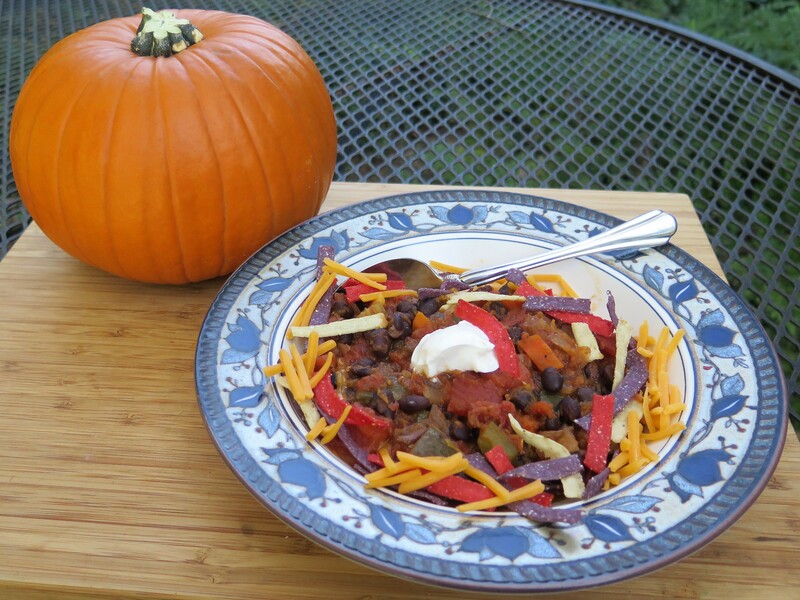 It’s October — the season for pumpkins and gourds. I’m beginning to see small pumpkins for sale in grocery stores and farmers markets. These pumpkins are called sugar pumpkins and are best suited for baking and eating– rather than the huge ones sold for carving and decorations. 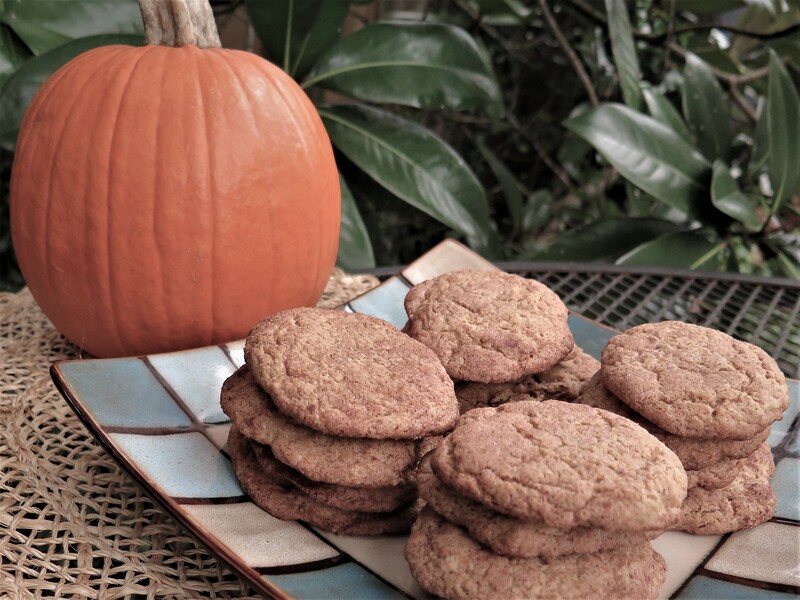 A recipe for Pumpkin Snickerdoodles caught my attention. Adding pumpkin puree to cookies is a unique way to use pumpkin pulp; I thought I’d try to make a batch. 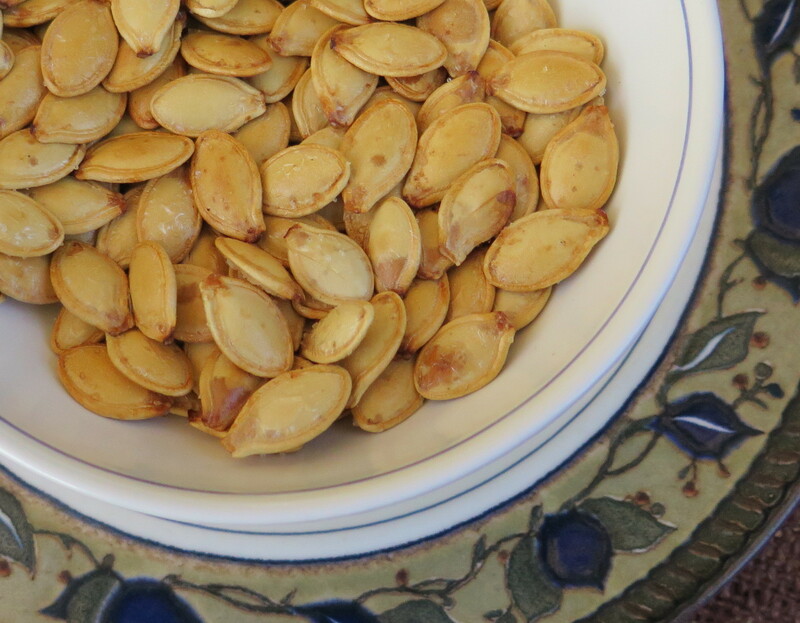 After going to all the trouble to hollow out a fresh pumpkin for baking and cooking, don’t forget the pumpkin seeds. They are easy to roast and make a great snack. And the kernels of the pumpkin seeds are quite nutritious. Of all the seeds and nuts, pumpkin kernels rate among the highest in polyunsaturated fatty acids, along with walnuts and sunflower seeds. And they are high in monounsaturated fatty acids. These are heart healthy fatty acids and provide antioxidant properties. The pumpkin seeds provide protein, vitamins and some minerals, but you’d have to eat alot to get significant amounts. There are lots of methods of roasting pumpkin seeds. The one that I like best is to let the seeds dry overnight, after separating out all the pump when the pumpkin is hollowed out. Then coat the pumpkin seeds with a little canola or sunflower oil, salt lightly, and roast slowly in a lower temperature 300 degree oven. To 1/2 cup pumpkin seeds, I added 1 tsp. canola oil and less than 1/8 tsp salt, placed the seeds in a single layer on a non-stick baking sheet. Roasting time was 20 minutes. For a Cajun version, add 1/2 tsp Cajun seasoning (or seasoned salt), 1/2 tsp Worcestershire sauce and 2 drops of Tabasco hot sauce. Roasting times vary depending on the type of oil used (butter browns quicker) and whether or not the seeds are dry. Set the roasted seeds on your kitchen table and they will disappear quickly! 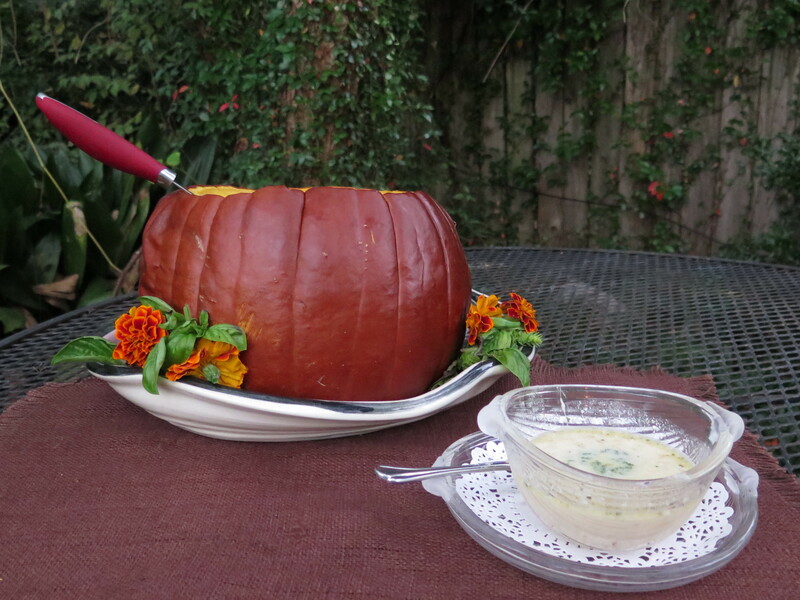 Soup in a pumpkin brought to a holiday meal table makes a spectacular presentation. It’s a family favorite and we’ve made it many times over the years. It dates to the time when we looked forward on Sunday to getting the Washington Post newspaper in our mail box. It impressed me that the world news was always on the front page. Each Parade Magazine contained a food feature by some well known chef such as James Beard, Julia Child, The Silver Palate authors–Julee Rosso and Sheila Lukins (my personal favorites). This was probably my first glimpse at gourmet cooking. The November 13, 1983, issue contained a very young-looking Julia Child preparing “Soup in a Pumpkin.” I still have the original copy.